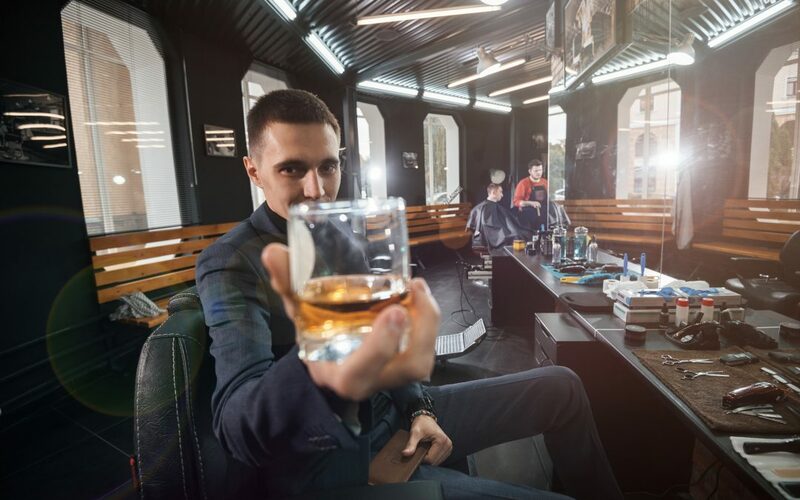 Barbers and hairdressers have recently been subject to scrutiny from local police who are advising them against serving complimentary drinks without a liquor licence. We won’t say where we stand on this policy … because Hillary Barry has already said it. So if you can’t offer alcohol as an extra to enhance your customers’ experience, what can you do? Here are just five freebies you can use to delight your customers and keep them coming back. How much does everyone love being handed a hot cup of coffee in the morning? Lots! And how much does a cup of fresh coffee cost? Practically nothing!These days you can get a pretty good coffee machine with steam wand for well under $1,000. And if you don’t want to worry about steaming milk there are heaps of capsule machines that make it even easier, by giving you a complete cup of coffee at the press of a button. This is a great one for those aforementioned barbers and hairdressers, but could extend to any business that is in the business of showing customers great hospitality. This one is so old school, but that’s kind of the point! Nobody except your gran goes to the trouble of writing a thank you card by hand anymore. But that just means, when you do, it really connects with a customer! It can be as simple as thanking the customer for their visit and for their patronage, and explaining how much it means to you. Mention something that you discussed with them while serving them (eg. “I hope your gran enjoys the candle, we’re sure you’ll get a nice thank you note.”), and round it off by saying that you’re looking forward to their next visit. This classic retail tactic still works wonders – and always will! The trick is to make it as unconditional as possible so, rather than a voucher for ‘10% off fries when you buy two mains and bottle of Champagne” it’s “Free fries on your next visit”. Most people would never dream of coming back and grabbing their free fries (or whatever it is) without buying something, and as well as the upsell you generate, you also get the opportunity to fursther build your rapport and relationship with that customer. My wife and I recently had a degustation dinner at a fancy-pant restaurant and we surprised and delighted when our bill came to be presented with a kit of muesli and yoghurt prepared by the chef for us to enjoy at breakfast the next day. Not only did it extend our experience beyond the four walls of the business, we probably talked about it to more people than we did the actual dinner! Before you get your granola and berries out, it doesn’t have to be anything complicated. If you can give your first time customers something to remember you by, like a comb in the case of our barber example, that will do the trick. And if it’s something branded, they’ll be advertising your business for you! That’s not us headging our bets about which way to spell the word, that’s us saying it’s both free and goes well with what they have purchased. For example, if someone has bought a facial from you, you might give them a sample of the product you use for your premium facial, or for one of your other services. This will not just delight them, it will have them wanting to come back for the full experience! So barbers and business owners do not despair! As much as customers would love a free beer or bubbles, there are heaps of ways that you can make their day, and their experience, one to celebrate. And, at the end of a shift, you can always enjoy one yourself at least.